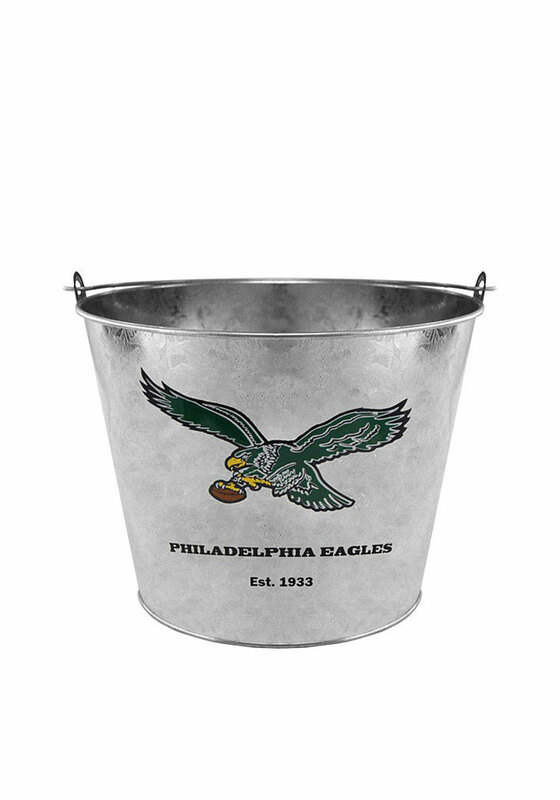 Store your tailgate drinks with Philadelphia pride with this Philadelphia Eagles Bucket. This Bucket features a team logo wrap design and will look great at the next tailgate. This Metal Bucket is ideal for keeping game-day drinks cool and doubles as a versatile around-the-house holder in the off-season. Go Eagles!